This wicked boxing drill is thanks to Kirstyn Campbell of KC Fit in Auckland, New Zealand. Kirstyn shared this as part of her featured drills on BootCraft last month. 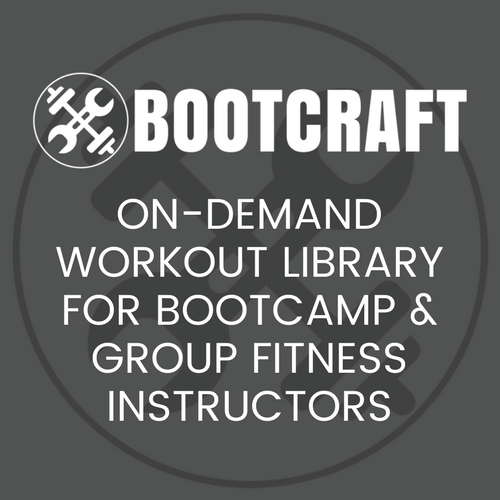 Check out BootCraft for more drills like this. Write all exercises on a white board. Shuffle a deck of cards, then place all face down half under a cone (so they don’t blow away). Pad Holder flips top card, and places face up under another cone. They let their partner know what they’re doing (check off board) and once finished, they fetch a brand new card and repeat until 15 minutes are up. Trainer flips finished cards over so campers can keep going for the allotted time. Take a brief rest then have partners swap with their partner and repeat for 15 minutes. Now it’s payback with what the Pad Holder “chooses” for their boxing partner to do. Emphasis on breathing & keeping knickers dry. Did the Boxing Flip 52 workout this morning with my clients, great workout! Thanks.